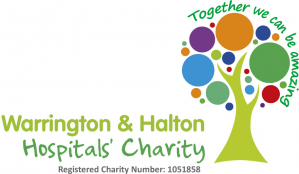 Patients requiring a blood test are able to attend the blood test clinic at either Warrington Hospital or at Halton General Hospital - whichever is the most convenient for you. Both services are provided on the ground floor of the hospital so are easily accessible. The service is provided by phlebotomists. These staff are skilled at taking blood and make the procedure as quick and easy as possible. On arrival, patient take a ticket and are called in numerical order. Most tests are quick. The department is usually very busy during the morning, so patients requiring routine blood tests are advised to attend in the afternoon where possible. Patients are referred from other hospital services or from GPs. Please remember to bring your blood test request form which your GP will have handed you.